Des Moines Marina Fire Response - Global Diving & Salvage, Inc.
On June 23, 2013 a vessel caught fire in the Des Moines Marina on the Puget Sound, injuring two people. 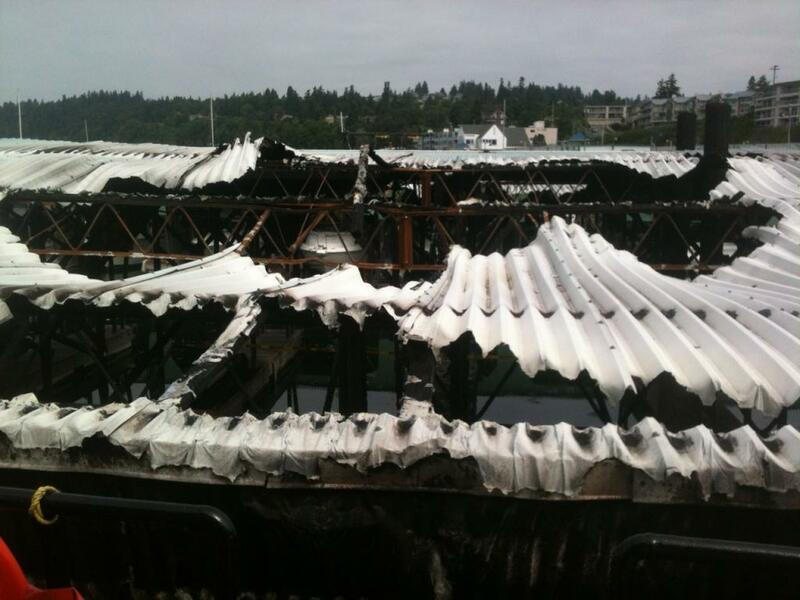 The fire spread quickly, destroying 6 boats and damaging several others. 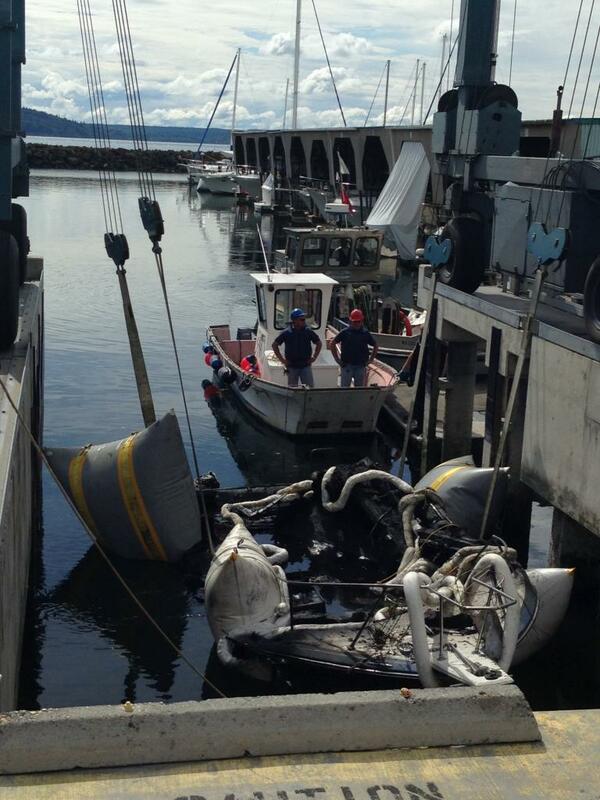 Quick action by the marina staff and fire department prevented further damage. 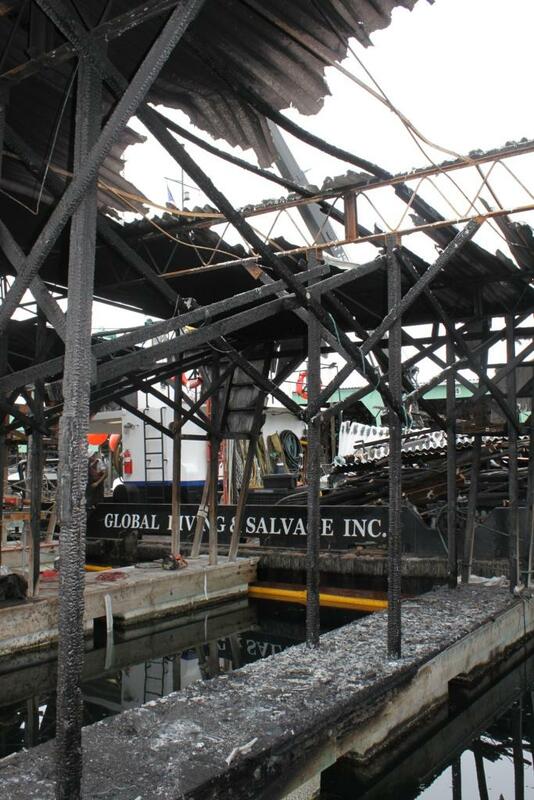 Global was contracted to provide diving services as required to remove sunken boats and debris. 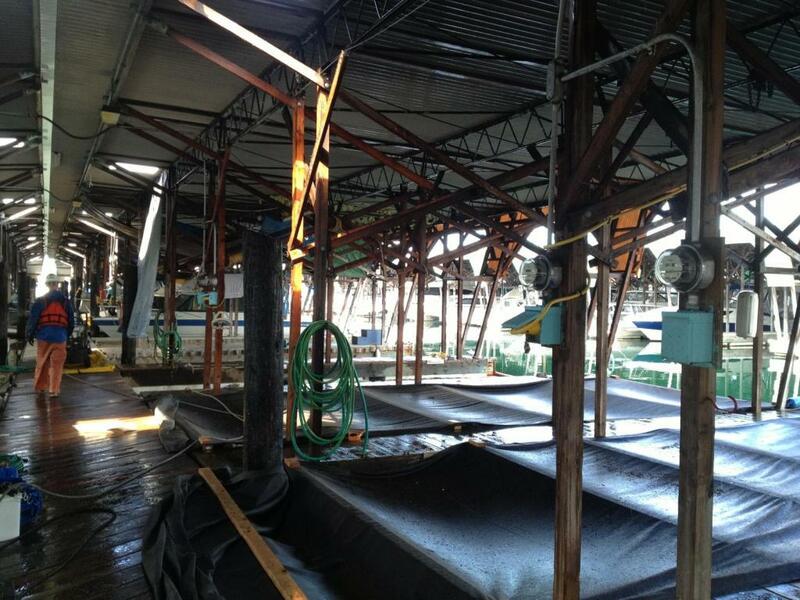 Crews from our Environmental Services Division also cleaned areas of the boat house that were undamaged and removed sections of the dock and roof structure that had been destroyed by the fire.